It's all about fish fillet. 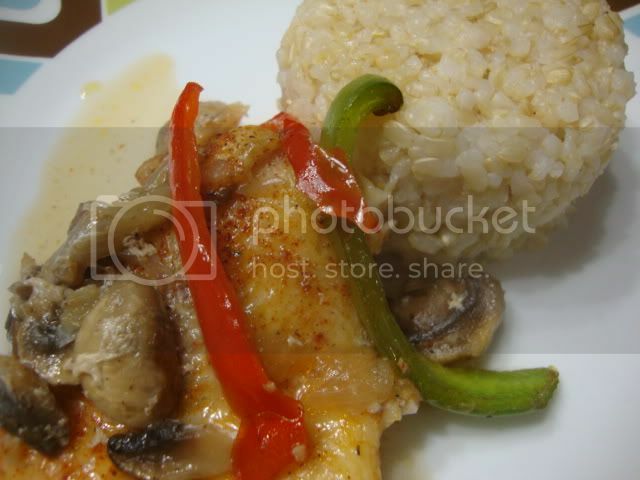 For almost two weeks now, I've been having fish fillets in our menu. It is so versatile that you can do anything with it and to it. 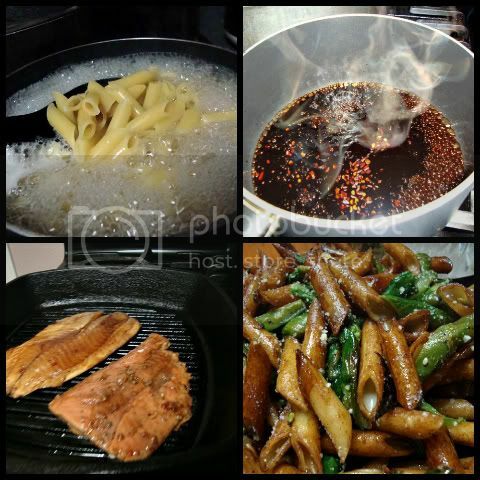 Grill, fry, poach, steam, bake- name it. And with it goes vegetables, pasta, rice, bread or by itself. It is quick-fix, no-fuss, easy to cook and yet you can also take it to another level by making fancy sauces to make it restaurant style. 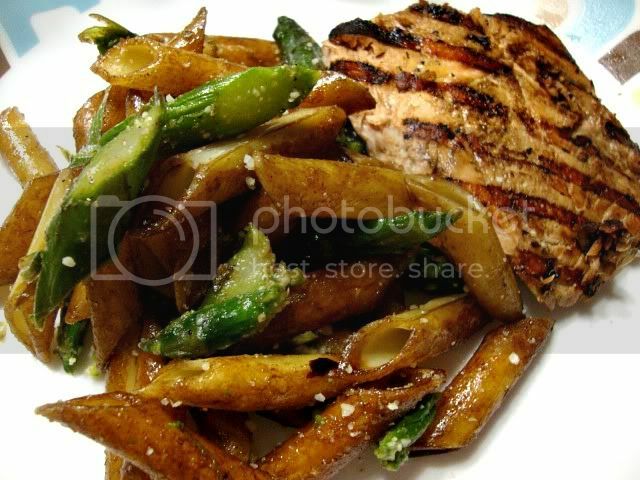 In fact, you can even do a better job in terms of taste and flavor even if plating and presentation is not that great. Hmmm seems like I'm justifying my lack of plating and presentation skills. Anyway, I'm leaning towards healthier ways to prepare food so out with rich sauces and just keep it simple with lots of vegetables if I could. Heat two rounds of canola oil in a skillet over medium high heat. Sauté the onions and allow to cook until translucent. Add the mushrooms and season with a little salt and pepper. Sauté until soft. Transfer to a baking dish and spread evenly. 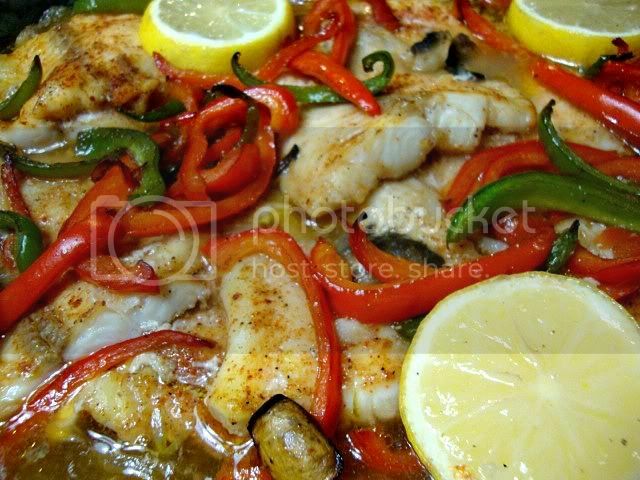 Remove the baked catfish from the oven, take off the aluminum foil and spread the bell peppers on top. 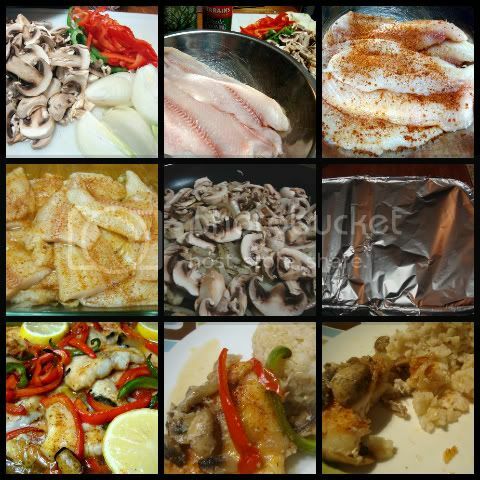 Return the fish into the oven uncovered and bake for an additional five minutes just to allow the bell pepper flavors to mingle with the fish. Then I blanched sliced carrots and haricot verts separately in salted water; drained all excess water then lightly season with kosher salt and cracked black pepper. 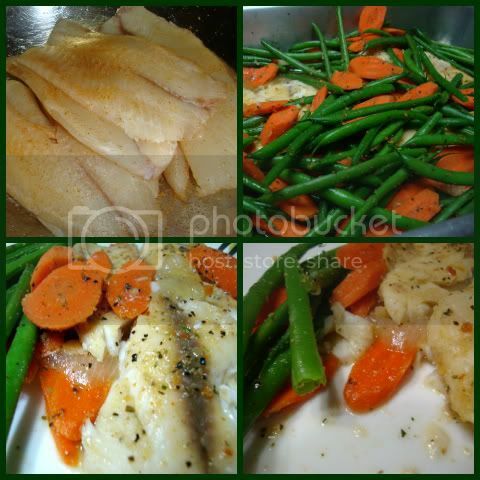 I just love the crunch of the veggies and the flaky but moist fish. There's that certain sweetness when all the ingredients are fresh. Come to think of it, the flavors do come through because there is no rich sauce to overpower it. It is my take on a recipe I found on the internet Penne with Roasted Asparagus and Balsamic Butter but I used mostaccioli pasta. It is similar in cut to penne but it has a smooth surface. The recipe calls for sugar in the balsamic vinegar reduction but I figured it is already sweet even without sugar so I skipped that. I also used my TJ's garlic olive oil instead of butter. 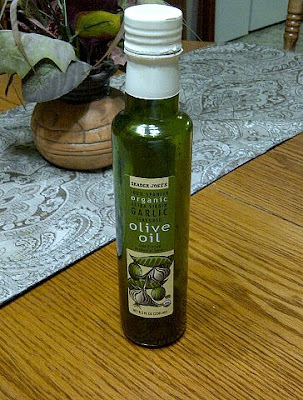 This skinny bottle of goodness is my current favorite and it works wonders on veggies, pasta and you can even use this on bread. Heat the oven to 400°. Snap the tough ends off the asparagus and discard them. Cut the spears into 1-inch pieces. Put the asparagus on a baking sheet and toss with the oil and 1/4 tsp each of the salt and pepper. Roast until tender, about 10 minutes. Meanwhile, put the vinegar in a small saucepan. Add the red pepper flakes and simmer until it reduces to about 3 tablespoons. Remove from the heat.